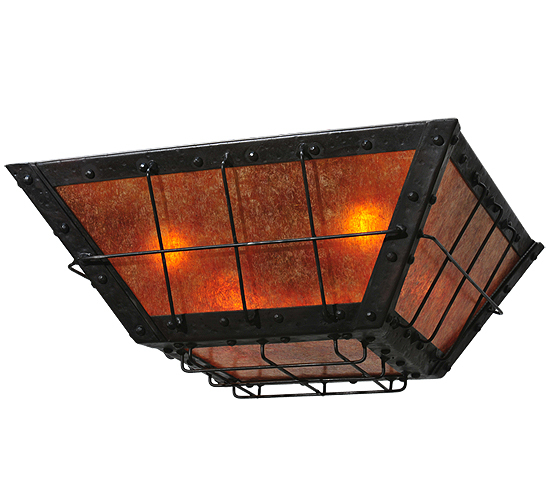 Description: With a design right out of a Charles Dickens novel, this handsome inverted fixture features a thin steel geometric structural design which encases stunning Amber Mica. The shade, which produces beautiful ambient light, is enhanced with decorative accents and hardware featured in a bold Costello Black finish. Handcrafted in the USA, this fixture is available in custom sizes, styles, colors and dimmable energy efficient lamping options. The fixture is UL and cUL listed for dry and damp locations.